Born Roger Meddows Taylor on July 26, 1949, in the seaport town of King’s Lynn, part of England’s Norfolk county. 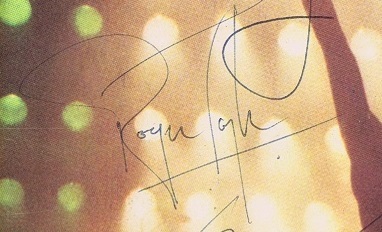 During his youth, Roger Taylor Autographs developed a passion for multi-instrumentalist, playing the ukulele and guitar before turning to drums. He subsequently played with the Cornwall band the Reaction in the mid-1960s. After Smile’s lead singer departed, Taylor and May joined with flamboyant singer Freddie Mercury and bassist John Deacon to form Queen. The group carried on to become one of the biggest musical acts in the world; known for innovative musical fusions and theatrical, bombastic productions. All of the band members were songwriters and contributed to the group’s song list, with Taylor penning tracks like “A Kind of Magic” and “Radio Ga Ga.” (The song is what inspired Stefani Germanotta’s stage name, Lady Gaga.) 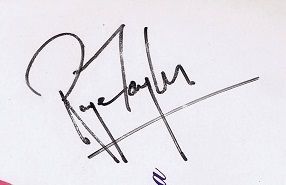 Coincidentally, Taylor has worked in rock music as another drummer named Roger Taylor rose to prominence as well, playing with the band Duran Duran. Still to this date under different vocalists Queen still tour with Roger and Brian May being the only original members. 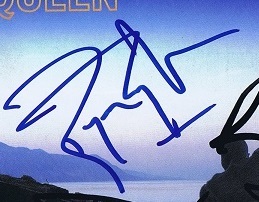 They toured with FREE and Company singer Paul Rodgers between 2004 – 2009. Furthermore, from 2011 to the present day Queen tour with the American singer Adam Lambert who was runner up on the 2008 American Idol program.